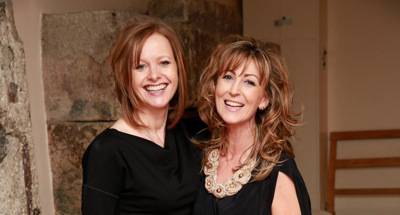 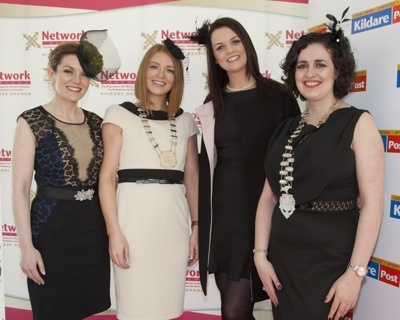 Alison Bough, President of Network Ireland Kildare Branch, said: “Network Ireland Kildare branch are strong believers in empowering women and what better to do this than to show support to a fellow member, Edel Mc Cabe, and our local track. 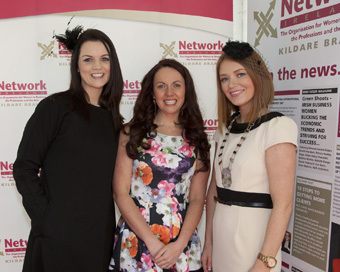 We have had a fantastic day here today and a few winners!”. 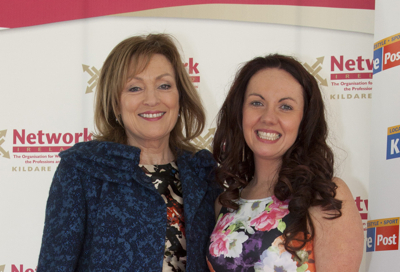 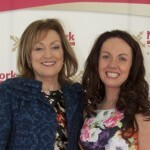 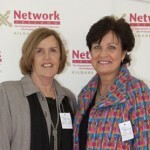 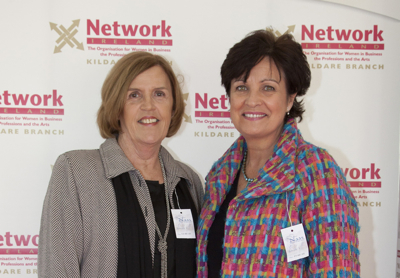 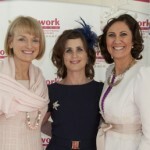 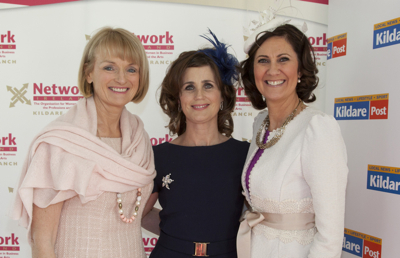 The members gathered at Naas Racecourse, on Sunday 8th March and welcomed Mary Kennedy, RTÉ, as their special guest. 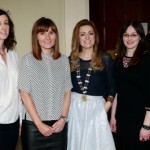 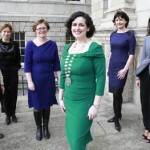 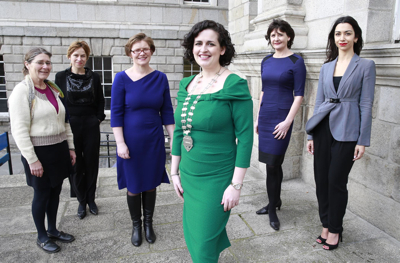 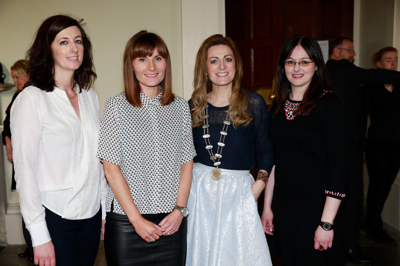 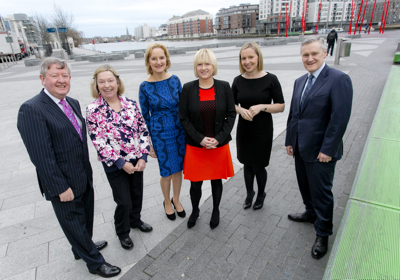 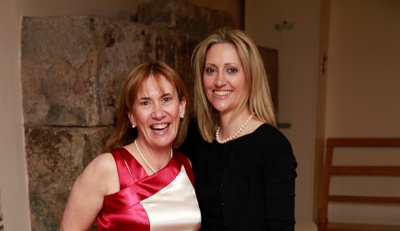 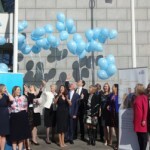 On March 5th, The Insurance Institute of Ireland (III) and The Institute of Banking (IOB) hosted the third event in the ‘Inspire, Be Inspired’ initiative – a networking and mentoring platform for women working in financial services. 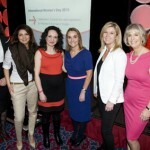 It was held in Dublin’s Marker Hotel. 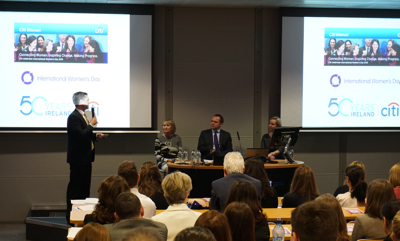 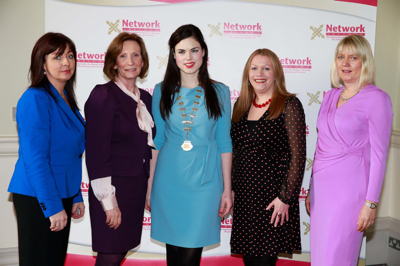 On March 6th, Network Ireland hosted their IWD celebrations in Trinity College, Dublin where the theme ‘Harnessing Opportunity in Changing Times’ was the focus. 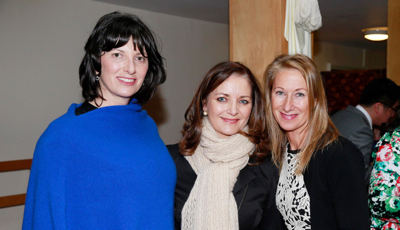 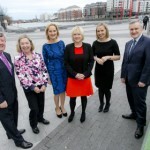 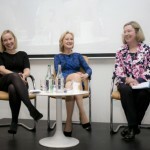 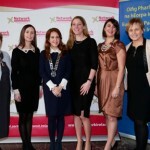 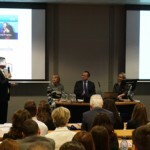 The event included speakers such as Independent MEP Marian Harkin; philanthropist Danielle Ryan; Dr. Micheline Sheehy-Skeffington, who recently won a landmark case on the grounds of gender discrimination against NUI Galway; and Niamh Bushell, Dublin’s first-ever commissioner for start-ups. 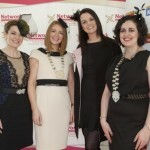 Morning Edition’s Keelin Shanley was the MC for the day. 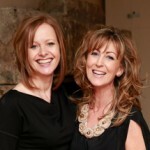 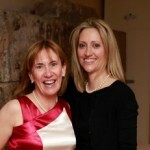 Christina Wilson and Gillian Glancy. 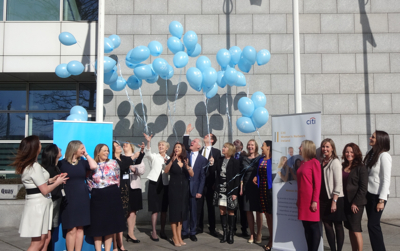 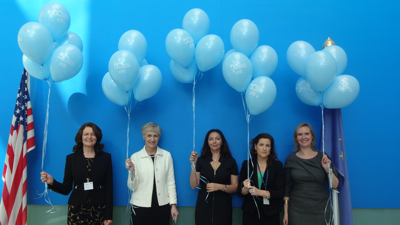 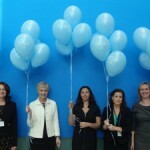 Citi’s IWD event tied in with their 50th anniversary in Ireland so they invited five women who represent the ‘Women through the Decades’ (past and present Citi employees) and they released 50 balloons in to the skies of Dublin. 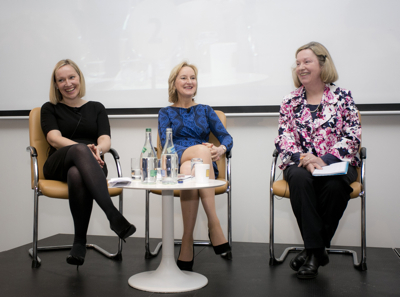 The event was held at Citi’s office in Dublin on March 10th and Aisling Hassell, Global Head of Customer Experience at AirBnB, was the keynote speaker. 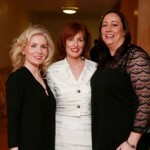 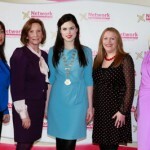 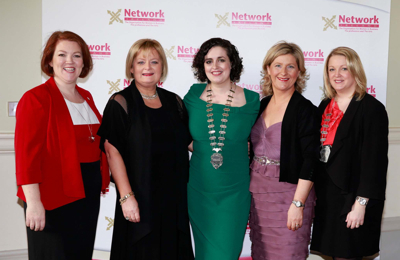 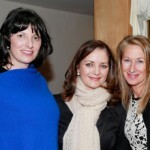 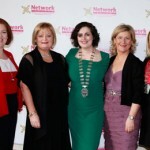 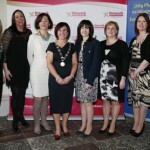 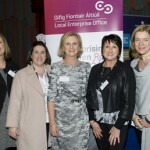 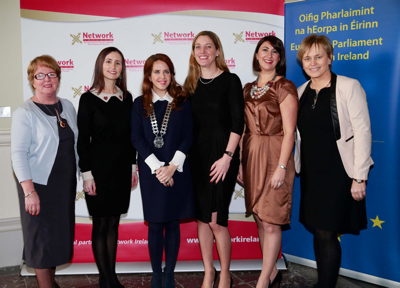 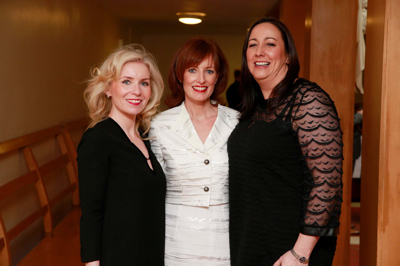 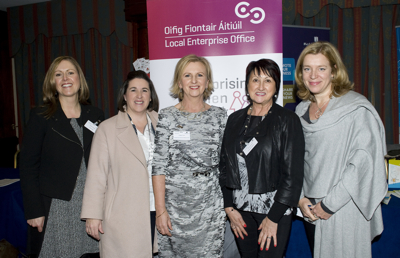 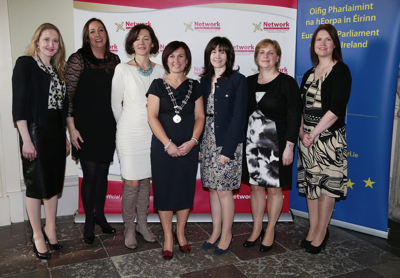 Over 200 businesswomen attended the event ‘Celebration, Connection and Inspiration’, hosted by the LEO Dublin women’s networks and Dublin Chamber, on March 5th at Davenport Hotel, Dublin. 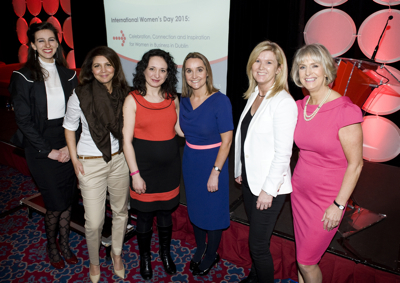 Speakers included Mary McKenna, Tour America; Mouna Kenzaoi, Martinsen Mayer; Cristina Luminea, ThoughtBox; and Georgia Scott, Georgia in Dublin.